I'm currently working my way through and using up all the products in my beauty cupboard before buying anything new. At some point I will run out of a certain category and therefore will be able to either repurchase or try a new product.The time has come and I am currently using up my last bottle of toner which is Caudalie Beauty Elixir. Not wanting to finish the bottle and have to wait a week or so for another to arrive in the post I decided to take advantage of having £5 worth of Space NK points and make an order early. Since I'm not really allowing myself to buy anything new, I've been making lists upon lists of products I would like to try at some point especially after reading through Caroline Hirons blog from start to finish. I've got a list of cleansers and moisturisers I want to try that will keep me going for the next couple of years. I'm also trying to avoid buying skin care products that contain synthetic fragrance as this irritates my skin. Not all brands list their full ingredients on their websites so I went with a toner from the list that I knew didn't contain perfume. The toner is from Jurlique, a brand I haven't tried any products from so far, and is the Calendula Redness Rescue Calming Mist | £29. Calendula is one of the few ingredients I know works really well with my sensitive eczema prone skin so I tend to gravitate towards it. I also chose this one over the Rose Mist as it doesn't contain alcohol. Helps to comfort skin and restore skin's natural defences. It also helps to restore moisture and skin clarity, while the aroma of fresh cucumber and chamomile uplifts the senses. Skin feels hydrated, refreshed and comforted. It comes in a glass bottle which I nearly smashed when taking it out of the cardboard packaging. It does mean it isn't great for travel but I usually decant my skin care products when going on holiday anyway so this isn't too much of a problem. I'm sure I'll report back with a full review once I've tried it properly. 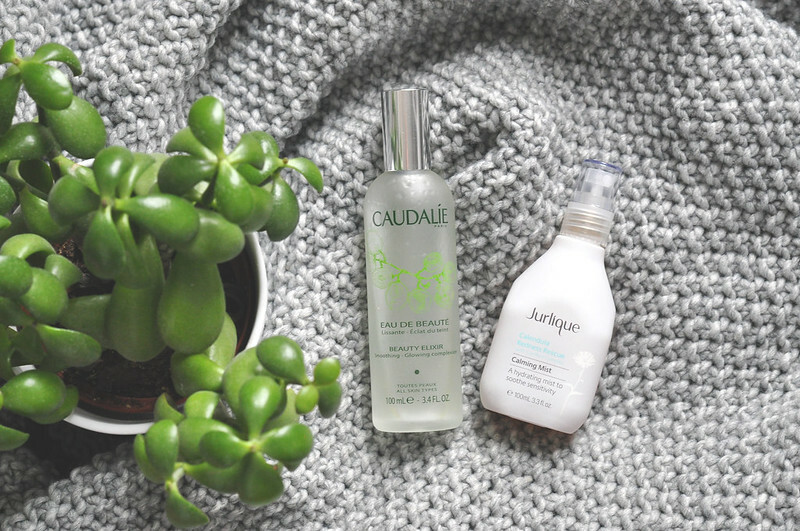 I absolutely love Jurlique and Caudalie :) I have only ever tried the Rose mist so will have to try this one next time.